In the last few years Cherai beach has witnessed a dramatic shift from being an unknown place, to becoming a much sought after travel destination. The tsunami of 2005 washed away greater part of the popular Fort Kochi beach and severely restricted it. Since then, tourists looking for an alternative have been flocking to Cherai. Cherai is a village in Central Kerala, near Cochin. It is easily reachable after a boat ride to Vypin and a short bus trip there after. Cherai is a narrow land strip locked between backwater and the sea. While this land strip is several kms long, breadth is only a few hundred meters. Thus Cherai is a beach - backwater belt with dancing coconut trees and delighting paddy fields. Fortunately, development happened here so far has not been wild enough to kill off natural beauty. 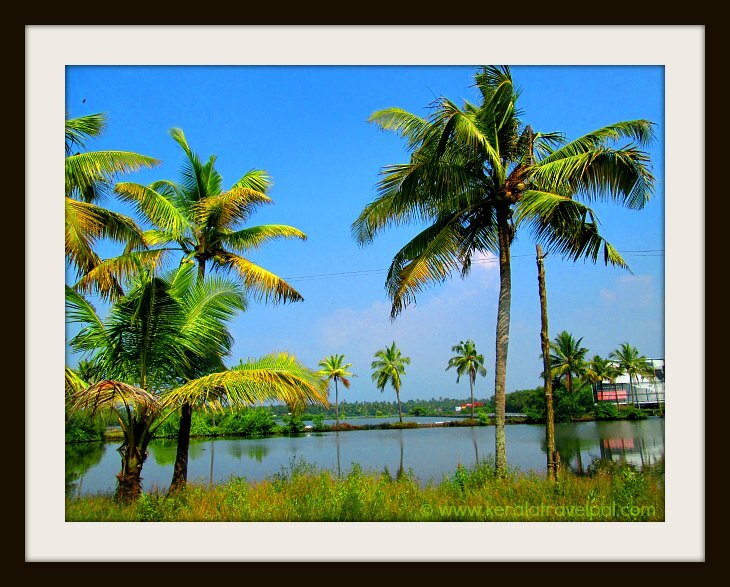 Just before reaching the beach, the road runs through the middle of backwaters. Simply stated scenery here is striking. The main beach area is adjacent to Cherai shops. Beach here is narrow and gets crowded during evenings and weekends. You could swim here however it is going to be a bit adventurous as the waves are a bit rough at times. Comfort comes from the fact that Cherai has 10 kilometers of extended shore line, with a few broader beaches dotting here and there. Wider stretches of the beach, away from the entrance area is more suitable for sunbathing. Chinese fishing nets towards the far end of the beach gives a distinct look. There is some chance that you may even spot some dolphins in Cherai waters. Kuzhupilly(also Kuzhippally) beach is the larger and better part of Cherai shoreline. The adjacent backwaters, the beach and the green surroundings have created an area of immense beauty. It is an ideal place to relax and unwind. Ambedkar beach is another quiet spot near by. The beach has a statue of Dr.Ambedkar, hence the name. Bicycling through the villages is a nice and healthy choice of exploring local life and scenic beauty. You can hire a bike at Cherai for a very nominal rent. The charm of Cherai is not just limited to the beach. The northern end of Cherai, further from the main beach, is truly a lovely area. Here backwaters are so close to the ocean that they are separated only by a sandy stretch of land. Such formations are nature’s rarity. One of the finer ways to get lost in the breathtaking beauty here is to take a ride through these backwaters in a canoe or a boat. Getting the feel of village life is a refreshing experience. Toddy tapping, catching fish using Chinese fishing nets and similar interesting activities form the fabric of local life. The nearby paddy fields are rich green with crops half the year. Rest of the year, they are converted to fishing farms. One crop of rice is alternated with one season of prawn farming. The backwaters are a favorable fishing spot for the locals. They are not suitable for swimming due to their depth and the presence of small poisonous snakes occasionally spotted in water. Even though there are things to do, soon you are going to run out of options. Cherai is simply a chill out spot for a day or two. Besides swimming, water rides, beach volley ball and foot ball are popular at Cherai beach. Water scooters and speed boats are available for rent. Kite flying is something unique to Cherai beach. Locals are really fond of it and fly them regularly at the beach. They love it so much that there is an annual kite flying festival in the beginning of every year! 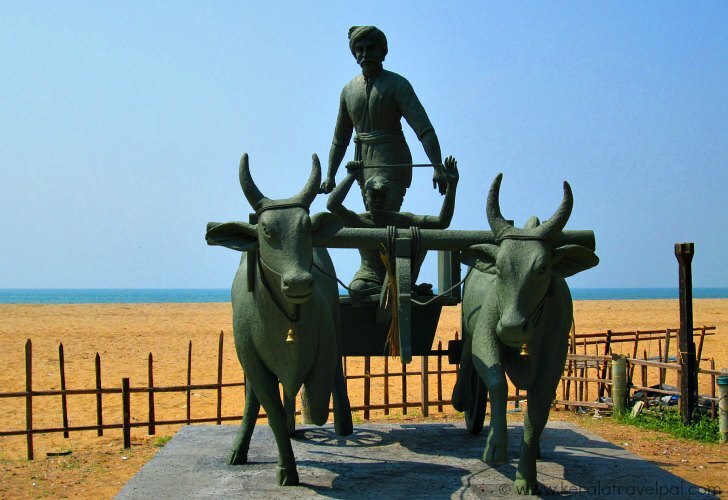 Cherai also celebrates a beach festival every December. Munambam is a famous fishing harbor 5 kilometers from Cherai beach. Backwaters form an estuary there. The walkway near the estuary is a vantage point to capture the glory of sunsets. Finding accommodation is not usually a problem as there are a variety of places in Cherai ranging from budget to luxury. Cherai Beach Resort, Holiday Hotel, Kadalkkara Lake Resorts, Amarvathy Beach Resort, Renaissance Blue Waters and Brighton Beach Resort are just a few of them. If you are choosing to stay too close to backwater, do keep in mind that stagnant water can be smelly at times. Check that with the person you are doing booking with. There are several eating places catering to different tastes and budgets. As fresh fish is available in plenty, sea food is the main theme. If you are relying on public transport, the best way to reach Cherai is to take a ferry from Cochin to Vypin. The ride takes less than 10 minutes. Once you get off at Vypin boat Jetty, take a bus to Cherai. Buses are frequent and they usually take less than an hour to reach Cherai. If driving, you can follow Goshree bridge to Vypin and from there to Cherai. The alternative route is to get to North Paravur through Edappally. The next 6 kilometers from North Paravur to Cherai can be covered by 15 minutes or so by a car. The total distance of this journey is about 25 Kilometers. If you are heading directly from Cochin Airport to Cherai, you have to travel through North Paravoor. Nearest towns : Kochi at 25 Kms, North Paravur at 6 Kms, Kodungalloor at 10 Kms and Aluva at 20 Kms. Taxi/ Auto-rikshaw Hire : Cochin Town at 25 Km or North Paravur at 6 Kms. Railway Station : Aluva Railway Station at 20 Kms. Bus Station : The best way to reach Cherai is by taking Cochin - Vypin ferry. If not take bus from Cochin to North Paravur to Cherai. North Bus Station at 6 Kms from Cherai. Food Options : Several restaurants in Cherai area. Nearby Attractions : Wellington Island, Bolghatty, Mattanchery, Marine Drive, Kodanad Elephant Training Centre, Athirapally and Vazhachal falls, Fort Kochi, Cochin City (Shopping & Food).